If you’re a novice dog owner, it’s essential that you choose a dog that will fit in with your lifestyle. 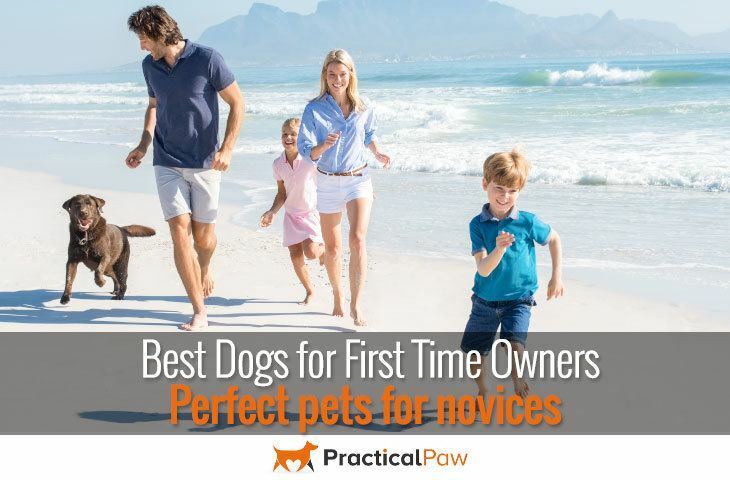 The best dogs for first time owners tend to be more adaptable and easy-going than some other breeds. Of course, if you’ve set your heart on a specific dog, there’s no reason why you can’t successfully integrate them into your life. More challenging dogs are still a joy; they just need a confident owner who’s researched the breed thoroughly beforehand. While our list provides an overview of pedigree dogs, don’t dismiss your local rescues. There are literally hundreds of dogs that would be suitable just waiting for the perfect home. Rescue centres can provide you with a good overview of your potential candidate and have a keen interest in matching the right dog to the right home. Before considering any dog, think about your lifestyle. Are you active, a couch potato or somewhere in between? If you have space for a large dog, do you have the physical ability to control one if needed? Time – Just as valuable as physical activity is mental How much time can you commit to training your dog or engaging in other dog-related activities? Other commitments – Do you work, have children or have other obligations that will mean your dog will be left alone? Maintenance – Is the idea of daily grooming onerous? Or would it be the highlight of your day? 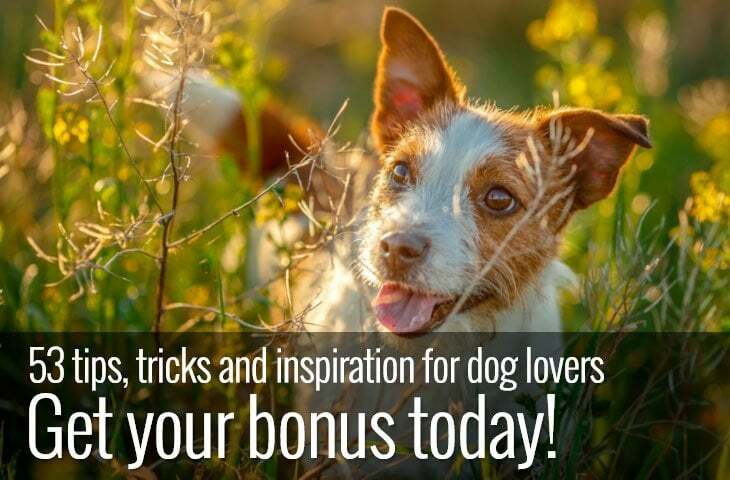 All dogs have basic needs that need a commitment from you as an owner, but the following dogs are easy-going and are considered more suitable for novice owners. That’s not to say that you won’t experience challenges along the way. But these dog breeds are more forgiving than others and will offer the best chance of a happy first-time partnership. The Shih Tzu is a playful, mischievous and affectionate dog that thrives in human company. One of the oldest known dog breeds this intelligent and cheeky dog was bred as a faithful companion and will greet everyone it meets. Good with children and other animals the Shih Tzu is a happy, outgoing and gentle dog. 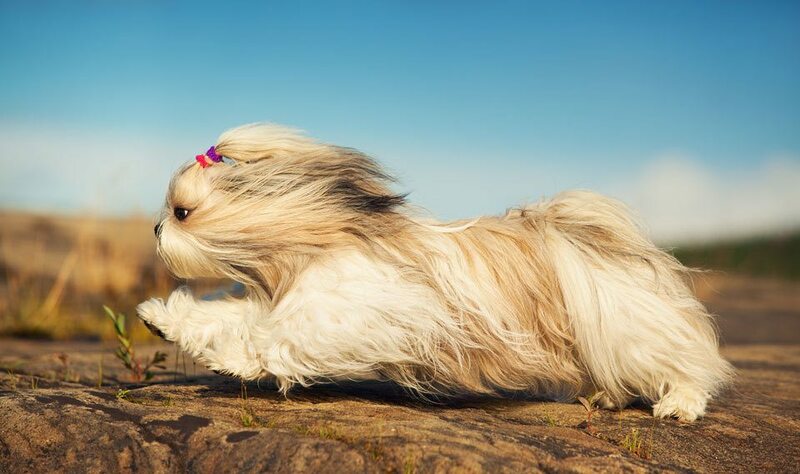 With average exercise needs but very playful the Shih Tzu is an easy going dog with a lot of character. Despite the Shih Tzu’s long coat that needs regular grooming, it sheds little to no hair making it perfect for allergy sufferers too. The Pug is an excellent choice for a first-time owner. They are full of fun, low maintenance and have a friendly nature. Good with children and other pets the Pug is intelligent, outgoing and loving. Originating from China, the Pug was bred as a companion dog, and that’s what they do best. 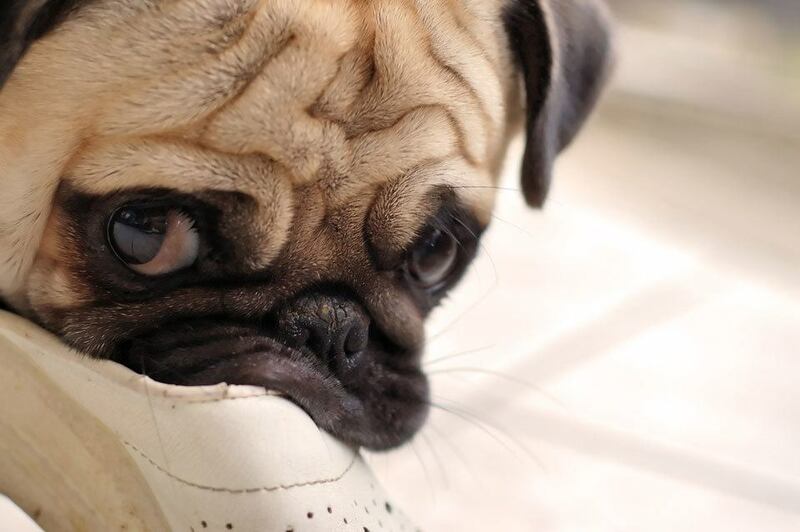 Pugs need regular exercise but are not excessive in their needs. Despite their short coat Pugs do shed a lot regular so regular grooming is essential. If you want a lot of dog in a small package, consider the Pug. Clownish, affectionate and cheerful the Pug is a joy to have around. While there are three sizes of Poodle; toy, miniature and standard, it’s the toy Poodle that holds the honour of real companion dog. Despite their elegant appearance, the Poodle’s history is as a working dog, and the Standard Poodle is still used today for hunting and retrieving. As one of the most intelligent dog breeds, the Poodle needs both mental and physical exercise and as such is perfect for active owners. 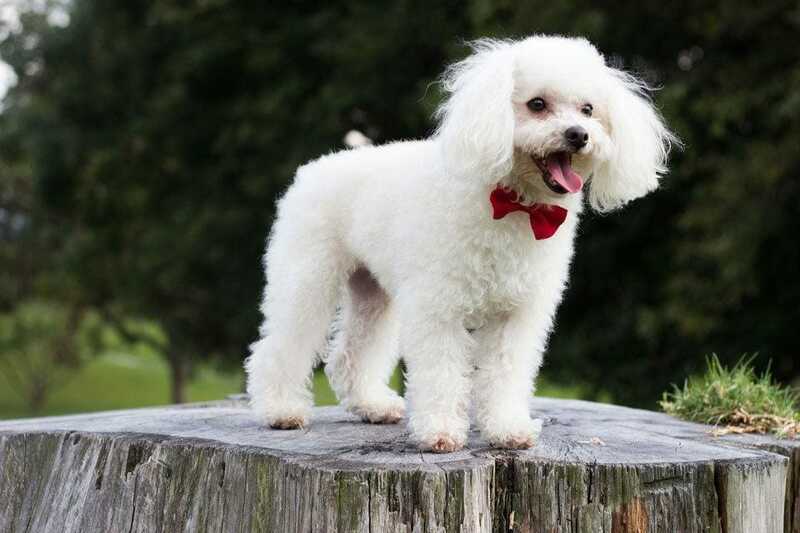 Energetic and always up for a game, the Poodle is affectionate, eager to please and loyal. While they do need regular trips to the groomers, Poodles don’t shed making them an excellent choice for allergy sufferers. Friendly and eager to please the Golden Retriever is an easy going and happy dog. 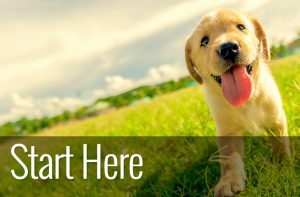 With a tail that never stops wagging and sociable and tolerant nature, the Golden Retriever is an excellent choice for a first-time owner. Initially bred for retrieving game the Golden needs regular mental and physical exercise to keep them happy. While the Golden retriever has a calm and sweet nature, they do mature late meaning they are often puppy-like until the age of three or four. Active owners are a perfect fit for this sociable, boisterous and even-tempered dog. If you want a dog that’s loyal, affectionate and thrives on being part of a family look no further than the Golden Retriever. 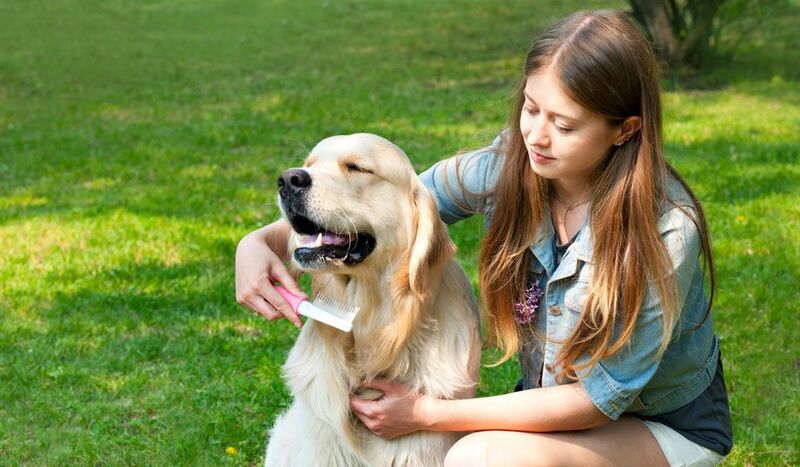 Regular brushing is a must to maintain their coat and while it’s relatively easy to do Golden Retrievers shed heavily throughout the year. 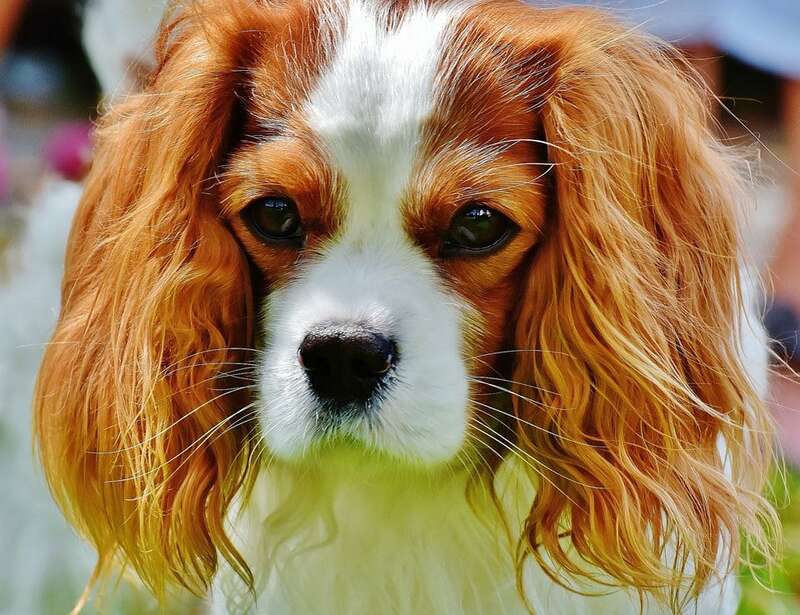 Naturally well-behaved the King Charles Spaniel is gentle, affectionate and adaptable. If you want a laid-back, unassuming companion, this little dog is a perfect choice. Devoted and happiest when spending time within the family environment, the King Charles does not like to be left alone for extended periods. But if you have time to spend with a happy and loving dog, then the King Charles won’t disappoint. This charming and affectionate dog is easy to train, has low exercise requirements and is gentle with children and other animals. Not only that but Despite the King Charles long silky coat, it just needs regular brushing to keep it looking good. While you may not get a dog as talented as ‘Lassie’ the Rough Collie is an excellent choice for active first-time dog owners. 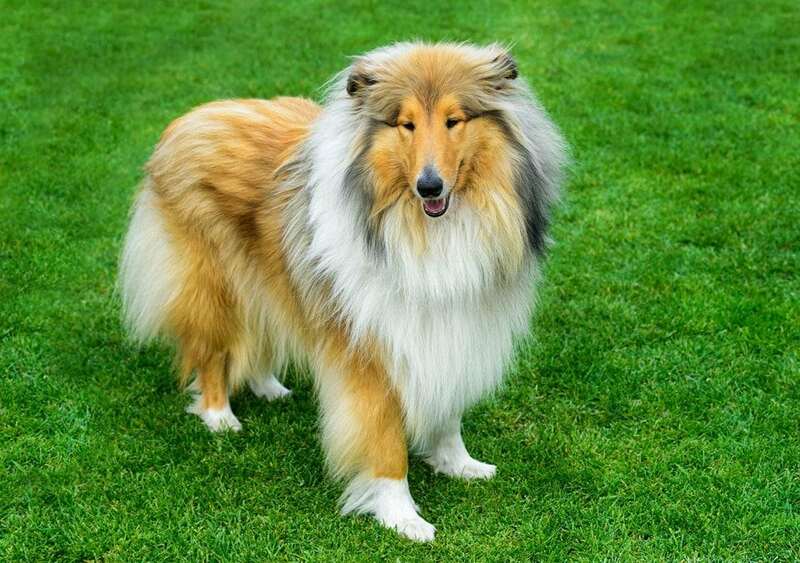 Sweet-tempered, obedient and tolerant the Rough Collie is protective and loyal to their family. While gentle and playful with children, the Collie does retain some natural herding instincts that may extend to their family members. Sensitive training and plenty of early socialisation will ensure a well-rounded companion. The Collie is highly intelligent, easy to train but does not tolerate boredom. Devoted to family, playful and friendly this dog does best in an active home where it gets the physical and mental exercise needed to show its personality at its best. While the Rough Collie is above average in grooming requirements, the effort is worthwhile. This dog is smart, loyal and makes a great family companion. 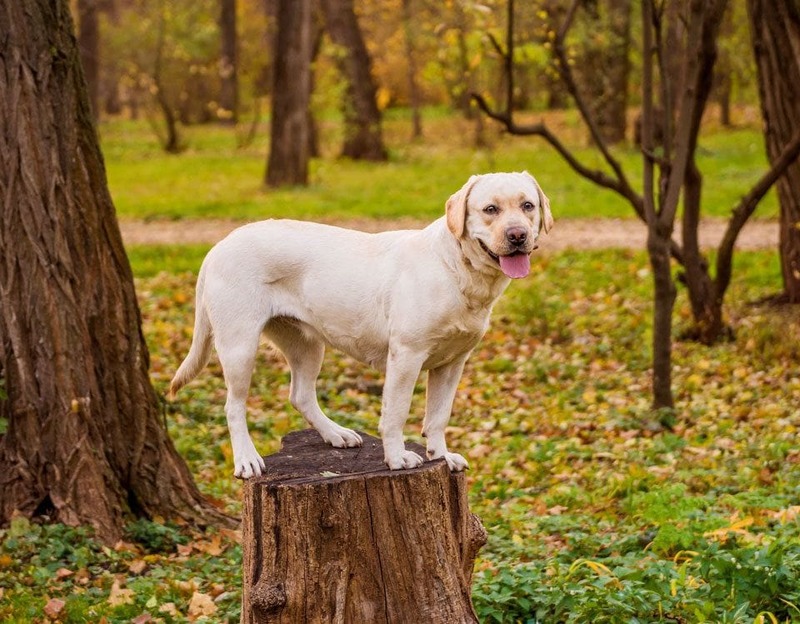 Sociable, playful and affectionate, there’s a good reason why the Labrador consistently remains in the top ten most popular dog breeds in both the USA and UK. Devoted, friendly and energetic, the Labrador epitomises the ideal family dog. Their reputation as sweet-natured, intelligent and obedient dogs is well-deserved. That’s not to say that they should be left to their own devices. Labradors need training; they are energetic, exuberant and well-known as destructive chewers if bored or lonely. But the Labradors outgoing and courageous nature is hard to resist. 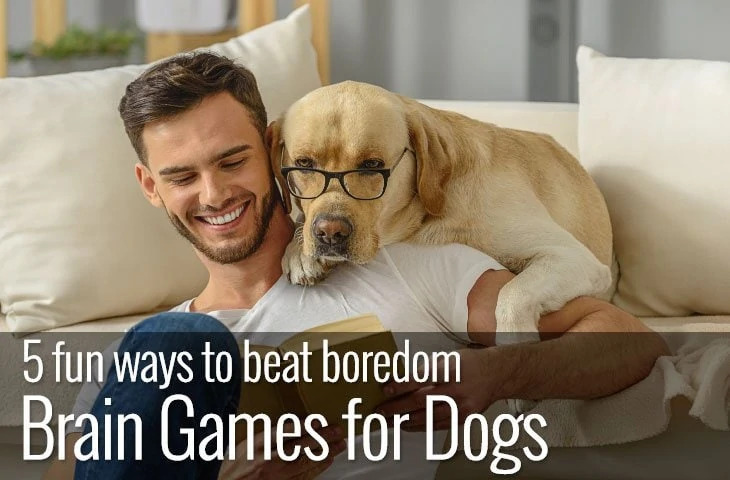 With such an enthusiasm for life, the Labrador needs owners that are equally passionate and willing to provide daily mental and physical activity. The Labrador has an easy to care for double coat, but they do shed a lot. 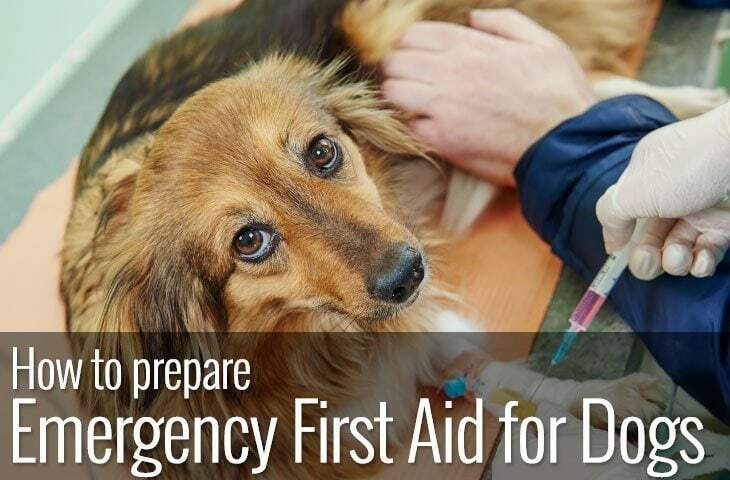 Weekly brushing will keep it under control and your dog’s fur-free from knots and debris. Just as no two dogs are the same, no first-time dog owners are the same either. If you have a lot of time, are willing to put in the effort and love the outdoors, you’re a very different first-time owner than one who prefers low a energy, easy going lap-dog. There’s no right or wrong, there are just different breeds for different needs, and there’s bound to be a dog that will fit perfectly in with your lifestyle.